Looking for tips on things to do in Marrakech, Morocco? As part of our city guides series we interviewed Amanda who has been traveling to Marrakech since 2004 when she met her Marrakechi husband. And unlike many visitors to the red city her trips have a distinctly local flavor. Amanda share’s with us her insider tips on things to do in Marrakech including where to eat, stay, shop, drink, and play. Marrakech is the city of legends. One of the first things that attracted me to visiting Morocco was the mix of European, Middle Eastern and African culture and flavors. Marrakech epitomizes this. It’s also perfect for any type of traveler; from the luxury traveler to the budget backpacker, from families with young children to senior citizens. While Marrakech is known for it’s lively markets there is so much more to the city. 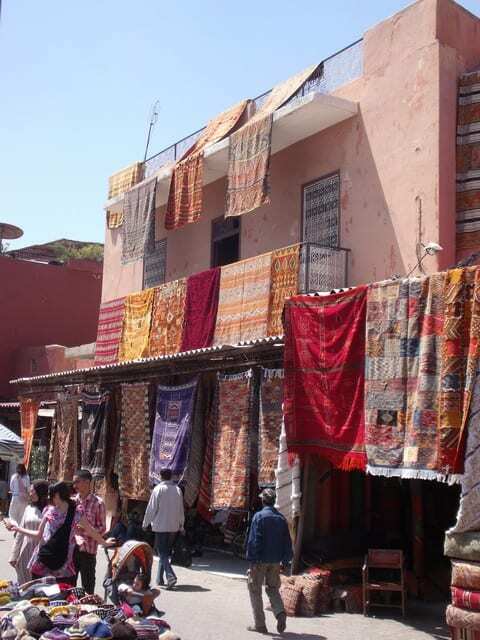 At the top of any visitors list is a trip to Djem L’Fna or the central souk and market. Over the years it has been commercialized more and more. The layout can be confusing however it is divided into different sections such as the woodworking souk, the clothing souk, the spice souk etc. My best advice is to go as deep in as you can and then start shopping. Anything on the perimeter will be the most expensive and odds are very good that you will find the same things for less money further inside. Historical Sites such as the Badi Palace, Saadian Tombs, Ben Yusuf Madrassa and Bahia Palace are great to experience just how old this city is. A cooking class because Morocco is known for delicious food. There are many cooking schools around the city such as; Hakima’s Moroccan Cooking School and Al Fassia. Try to visit a hammam. The traditional Moroccan bath is an experience in and of itself. You are welcome to visit any of the neighborhood baths but may feel more comfortable in a more resort like setting. La Bain Bleu and Les Bains de Marrakech are two suggestions though many hotels also have a hammam on the property. Oasiria Waterpark – Visiting with kids? Oasiria is a fun family day to relax. This waterpark is located slightly outside of Marrakech but has a free shuttle service running from Gueliz. Make sure to bring your own towel and snacks are allowed though there is a café and pizza restaurant on site. This is the old residential center of the city and for the most part still inhabited by families who have lived here for decades. There are side shops down the main thoroughfare and small markets off to some of the sides. You’ll find some great food stalls set up here as well. The new city and boutique shopping epi-center. Gueliz has fashionable shops and restaurants as well as art galleries. The old city. 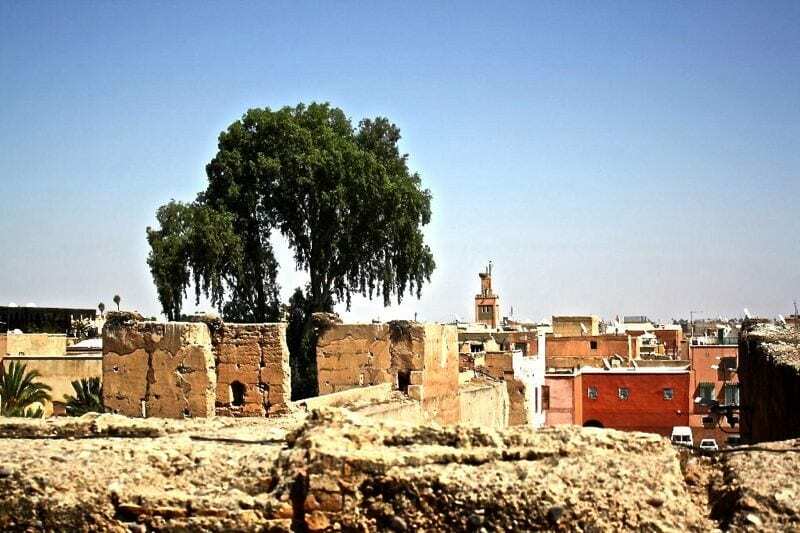 The medina winds off of all sides of d’jem al fna and stretches back to residential areas. I truly believe the best food you will eat in Marrakech will be street food. I say that with a nod of caution because any intrepid traveler has been told not to do this. I’ve never gotten sick eating anything in Morocco but that’s not to say you won’t. Street vendors offer a variety of foods; from fresh fruit, cookies, stews and tajines, grilled brochettes, sandwiches, and soups. 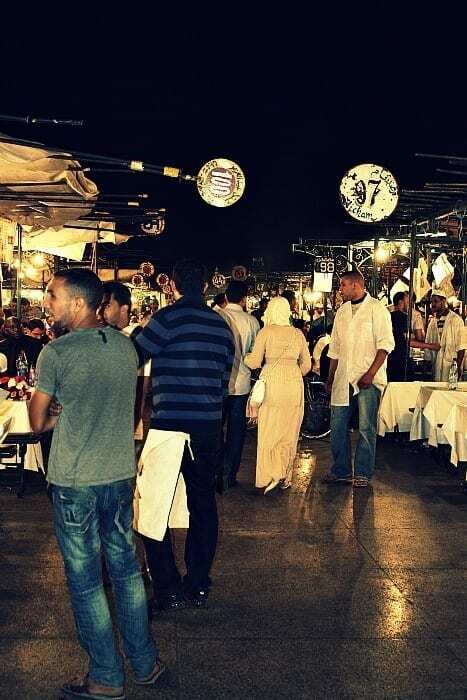 Eat at least once in djem l’fna at the open air stalls. Try the snail soup. Stop for breakfast at a hole in the wall shop. Pick up a string of sfinge (Moroccan doughnuts) for a snack. I know there are some nice upscale restaurants in the city but street food is the heartbeat of the city. A quick note about water. Marrakechs’ water is filtered and safe to drink however bottled water is cheap and accessible. Brushing your teeth might be alright in tap water but stick to bottled water for drinking. Tangia is the signature dish of Marrakech. You won’t find it anywhere else in Morocco (and if you do you shouldn’t eat it!) It’s traditionally the “bachelor” meal because of the easy preparation, but I promise you’ll never eat lamb so tender and full of flavor. Morocco is a Muslim country so alcohol is a little more difficult to come by. Larger hotels for the most part do have bars and some have rooftop terraces that double as bars. The Marrakech Royal Theatre. The Royal Symphony plays throughout the year as well as this space hosting many other cultural performances. Check with the Marrakech tourist office (Office National Marocain du Tourism) to see what’s on when you’re there. To be fair I’ve stayed in very few Marrakech accommodations because I stay in our family home, however I have spent a good deal of time connecting with travelers and visitors to make a few recommendations. One note worth mentioning, prices no matter where you stay in Marrakech will be much higher in the summer months. If you travel during the off-seasons you will find accommodations at a fraction of the summer rates. Peacock Pavillions (Kilometer 13 Route de Ourzazate) If you want to have a relaxing vacation in Marrakech outside the hustle and bustle of the city center you must stay here. Peacock Pavillions is a guest house built by an American expat family and matriarch Maryam (who is a fantastic designer!) creates unique charm in each and every corner of this boutique hotel. Some unique features include an outdoor theatre, a dining tent and an outdoor gym. Shopping trips, babysitting, and spa reservations can also be arranged. Hotel Mamounia – I would really be remiss if I didn’t mention this shining beacon of Marrakech. Recently remodeled and updated the Mamounia is a landmark in Marrakech. The price is on the higher end but if you visit in the off season it’s really worth it to spend at least one night here. Dar Najat (Dar Graoua Derb Lala Chacha #18) I have heard fantastic raves about this riad and the price is very good. Meals are provided on site. The one comment I have heard over and over about this riad is the service provided to guests is exceptional. Riad Layla Rouge (Rue el Ksour Derb Rokni 23) This is a riad/hostel located just off djem l’fna. If you’re hunting for a bargain this might be your stop! Hostel accommodations can be found for under $20 a night (depending on season) and a private room for around $60. The colors of Marrakech will surround you during a stay here! A last option to consider, especially if your visit will be longer term is apartment rentals in Marrakech. There are numerous furnished apartments available at anytime in the city. When Moroccans travel in the country this option is one they usually use. Often this will put you in more residential neighborhoods but the price is much more bearable than a hotel stay. I like this option the best for families that are traveling to Marrakech. For more places to stay in Marrakech choose from the largest range of hotels, apartments, and guesthouses with our partner Booking.com. You get free cancelation on most rooms, and in most cases you only pay when you stay. 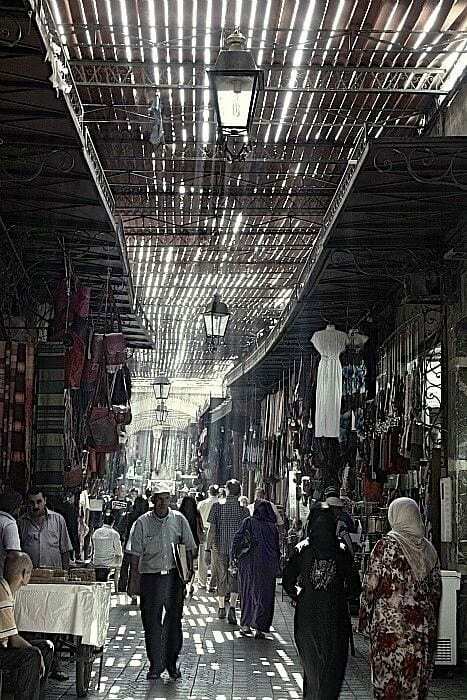 Aside from visiting the souks of the medina (off of d’jem l’fna) there are a few other locations to get your shopping in. Moor (7 Rue de Liberte) – traditional Moroccan clothing updated and with a modern feel. They also have lovely home décor items. Scenes de Lin (70 Rue de Liberte) gorgeous textile boutique featuring natural linens from Morocco and around the world as well as offering other cloth goods. Fabrics can be made into custom products. Naturelle (5 Rue Sourya) Argan based products are all the rage and that’s what you’ll find at Naturelle. High quality products that are acquired through a commitment to helping the producers of argan in southern Morocco. The mellah is the Jewish Quarter of Marrakech (though the Jewish population itself is waning). Here you’ll find some great gold and jewelry as well as a wonderful spice souk. Remember to haggle for the best price. In recent years gold has not been such a bargain. Sellers for the most part are looking for market rates or close to them. Nearby you’ll also find Place Ferblantier where metalwork is for sale. 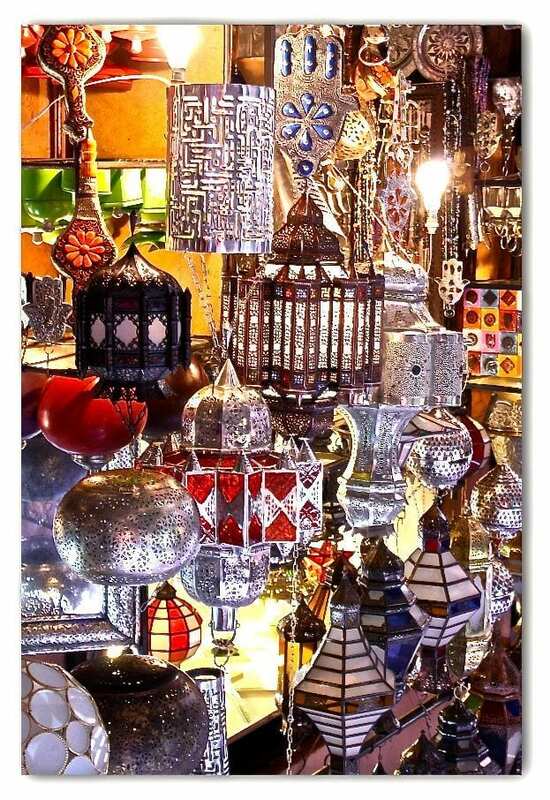 This is the place to get Moroccan lanterns and lights as well as other metal furnishings. There are two major festivals with many smaller festivals through the year. The Marrakech International Film Festival and Marrakech Popular Arts Festival are two big events to attend if you’re in town. Marrakech has two types of taxis, the grand taxi and the petit taxi. Grand taxi’s tend to go from point to point (i.e. you can’t really tell them easily a specific point you want to go to) They also tend to cram as many people in as possible. Imagine 7 passengers in a 1970’s Mercedes sedan. The petit taxi is the best way to get around Marrakech. They are reasonably priced and run on a meter, whereas with a grand taxi the price is agreed on ahead of time. They also will take you point to point. Marrakech does have a bus system but the times are not very reliable and they are overcrowded. Let’s just say in nearly 8 years of visiting I’ve never taken a bus ride. Marrakech is becoming more and more wifi friendly. There are some restaurants, cafes and hotels that offer free wifi but your best bet might be purchasing a 3G USB modem. Ask or look around for the purple Inwi shops that dot the city. Inwi is a mobile phone and internet provider and prices are very reasonable. In browsing recently I saw that a current promotion is 3 months of service for 300 dirham (close to $35). If you’re traveling around Morocco the service will work anywhere. Fall (mid- Sept until early December) and Spring. (March to May). Summer in Marrakech is very, very hot and chances are you won’t want to be outside very much. Winter tends to be rainy and cool. Ramadan is another month out of the year that you might not want to visit. During the Muslim holy month shop and restaurant hours are often changed and there is less activity as most of the country is fasting from dawn to dusk. Ouzoud to see the beautiful waterfalls. Essaouira is a day trip at a minimum but well worth it. Many major and discount airlines fly into Marrakech and Morocco’s train system runs a few times daily to the city. If you’re coming from Europe I would fly a low-cost carrier like EasyJet or RyanAir. Major airlines that fly in include Royal Air Maroc, Air France, Iberia, BMI and TAP. I have found that it’s often easier to get much cheaper flights to Casablanca and then take the train to Marrakech. It takes more time but the cost difference often makes up for it. If you’re looking to visit other parts of Morocco the train runs to major cities but no further south than Marrakech. Morocco does have a fairly good coach bus system to access small cities off the train line. Supratours and CTM have the best reputation with Supratours being my preferred coach bus. Recently they have commissioned the old train station as their depot. Any taxi driver will be able to know the difference if you tell them the bus company you are looking for. CTM buses pick up near Bab Doukkala. I feel like Marrakech is written about all over the place so my best tip would be to make friends with a local. This will help you experience the real Marrakech and not the tourist packaged version. Hopefully your friend will also invite you over for a meal because that’s where the best food is to be found! Also just enjoy yourself. 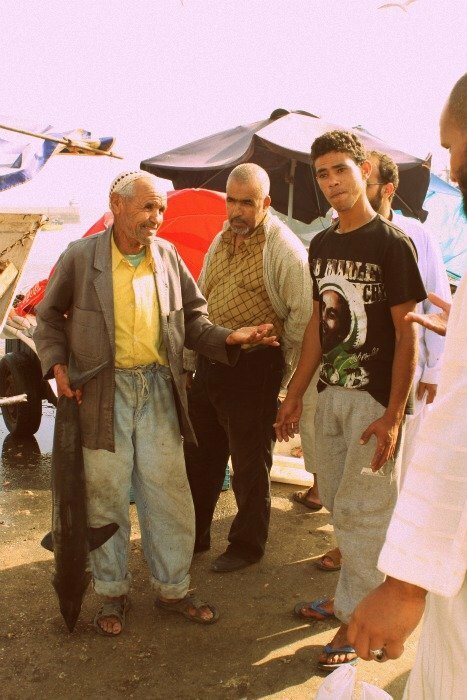 In Morocco people aren’t ever in a hurry so don’t try and keep a strict schedule just let what happens happen! There’s a Moroccan saying when someone asks you when something will be done. The answer is “tomorrow after tomorrow” or it will happen when it happens! It’s always changing! Visiting from year to year I feel like there is always something new and exciting happening. I do miss some of the old charm that has been erased in just under a decade but am excited for the new possibilities as well. Booking.com has 1,215 properties in Marrakech including hotels, apartments, and guesthouses. You get free cancelation on most rooms and a best price guarantee. BIO – Amanda is the owner of MarocMama a food and travel website focusing on Moroccan food, culture and traditions as well as living in a bi-cultural family. In 2004 she met and fell in love with her Moroccan husband in fairy-tale fashion on the streets of Marrakech and their journey hasn’t slowed down since. You can see her latest posts by visiting MarocMama, on Facebook, and following on Twitter. 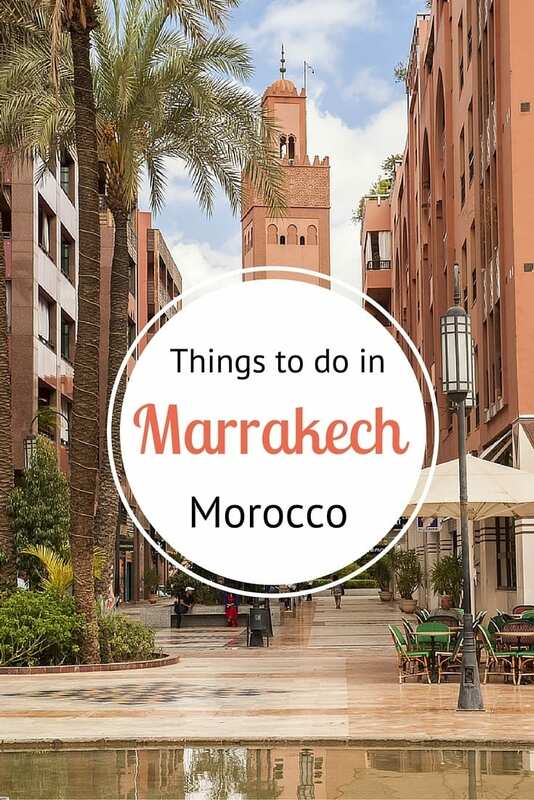 Do you have tips for things to do in Marrakech? Layla Rouge is awesome! stayed there in June and it was incredibly friendly experience! We agree. Always wanted to visit Marrakech. Love getting insider tips from those that have experienced it like Amanda. Thanks for the details! So much info… I’m going to have to save it for later to check it out! Awesome, I love this! I really want to go to Marrakech, so it’s great to have some insider tips like this. I only had a few days to visit Morocco on a quick trip from Spain, so I was very limited in what I could see. I too loved the food and the general atmosphere of old Marrakech, especially once you get away from the central square and the colony of touts that has infested it. I really wish I’d had enough time to get out of the city and explore the surrounding areas a bit, but I suppose that only means I have to return someday. Morocco is quickly rocketing to the top of my must-see list! I feel like I’ve been reading so much about it lately and it’s really getting under my skin. Have you guys been? I wonder how it is to travel there with little kids. Email me if you’ve got more questions or help planning a trip! Awesome place, I love to go! and great tips. Well and informative article on Marrakech. As tour operator in Morocco we also recommend the 3 valley day trip to the Atlas Mountains. So much more cooler especially during the summer months. It is also very close to Marrakech yet complete different scenery and mood. Thank you for all the advice and tips. We thinking of visiting in march. besides these wonderful tips do you have any on outdoor activities such as hiking and/or cycling? Ta! There is quite a bit of hiking available in the Atlas Mountains that are very close. I wouldn’t recommending going out alone, but connect with a guide ahead of time. Depending on the time of year you’re coming snow may be a factor. They do still do trekking in the snow but that might not be something you’re interested in. If you’re wanting to do a casual work, no problem. If it’s something more strenuous or longer than an hour or two having a guide is really a must. Great post. Very extensive information on anything you might want when going there. Great details about Morocco! I didn’t make it to Marrakech, but fell in love with some beautiful places further north. Hopefully I’ll make it back one day. Why don’t you come and visit us one day? I would love to visit Morocco Laura! May is the month of Roses. A festival will take place in Dades Valley. This is a great post! Do you have any tips on vegetarian food at the Medina, besides the veg tagine? The Medina in Marrakech seemed to have stopped in time….Here is our first guest post by Preetam Kumar…a first hand account of wandering the souqs in Marrakech! Looks great! Wrote something about Marrakech also on http://citytriptips.com Really the best place to go to! Good information about Marrakech, this last still best destination in North of Africa last years. And it receives tourists from a whole of the world. 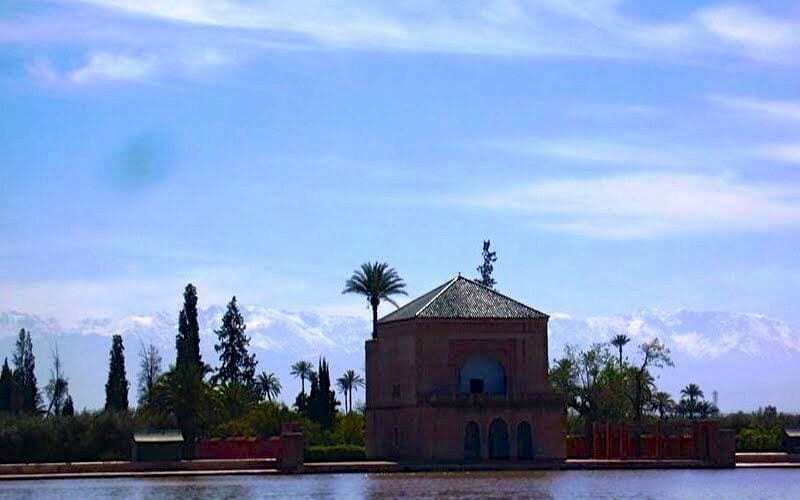 You can count on Marrakech landmarks to surprise you. From Jma el Fna to Majorelle’s garden, the Palmeraie and the huge suqs visitors have plentyfull to remember. When you get hot and feel the need to layback and chill Essaouira beaches are 175kms away. There is plenty to discover in Essaouira, the Argan country. A favorite is the halfday Argan Tour provided by http://EssaouiraTaxi.com. You get to witness and share the making of Argan oil like it’s been done since centuries in a typical house in the middle of the Argan country. Quite an experiment. My friends and I (a group of 5) visited Morocco for the first time in early September 2015. One of my friends booked the tour with Camel Safaries so I had zero expectations, but I was very surprised and satisfied with our tour with Camel Safaries and appreciated experiencing Morocco with an excellent private tour guide. 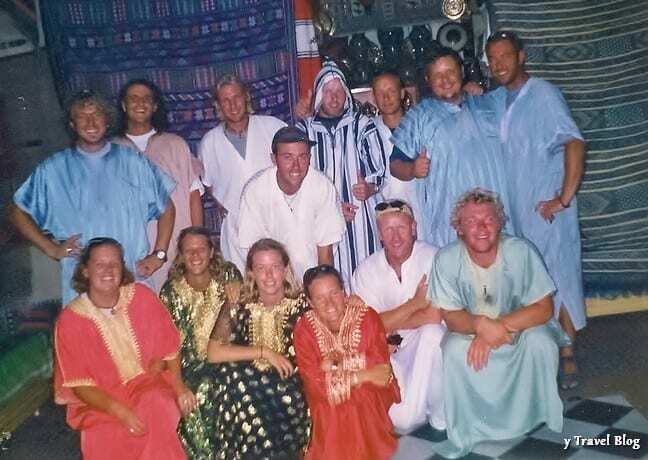 We did the 4 days/3 nights tour from Marrakech through the Atlas Mountains to the Sahara Desert which was customizable according to our interests. Mohammed Maazouz served as both our driver and tour guide, who was exceptional (more on him later in my review). The varied landscape from Marrakech out towards the Sahara desert is extremely beautiful, and made all the better with Mohammed providing background to the landscape features and rural towns. The anti-Atlas mountain range on our drive back to Marrakech were incredibly breathtaking – flat land pocketed by low trees and shrubs juxtaposed with unique rock formations. The camel riding and camping in the desert is a nice experience, but the less “touristy” parts of the tour were the most memorable. We did experience a sand storm during our camel ride out to the desert camp, so come prepared with a buff or scarf to cover your face. One of the highlights of our tour was being invited to a day-before-the-wedding celebration lunch. Mohammed knew the family and it was such a fun experience to be “one of the locals” by eating a wonderful meal with a large gathering of friends and family members. We were clearly foreigners but were treated like one of the normal guests. My favorite part of our trip was interacting and spending some time with a nomad family. Mohammed seemed to know her and her young children personally and it was a very eye-opening experience learning how a typical nomad family lives. The meals were great – some were pretty touristy, but at the same time, those of us who had weaker stomachs appreciated those places. My favorite meal though, was eating at a local restaurant (packed and not a tourist in sight!) on our last day on the long drive back to Marrakech. I’m a vegetarian but ended up eating the beef meatballs and lamb chops to experience a true Moroccan meal. Other activities we did, that I’d recommend: visiting Mohammed’s family’s date tree stand in an oasis, walking around Ait Ben Haddou (a UNESCO World Heritage Site), and visiting the local market and eating fresh figs. I could have done without the visit to the Pigeons du Sable and the argan oil co-op visit, which I felt were tourist traps. I don’t think I can do Mohammed justice in this review. Mohammed has a way of making people feel very comfortable and welcomed. He has a calming personality and is very knowledgeable, as a tour guide should be. I don’t know how Mohammed does it, but he drove for hours and hours in the company’s Toyota Land Cruiser, and my group and I always felt safe. Despite the fact that he hosts a number of tours throughout the year, he really does treat your group like you’re special. I never felt like simply a paycheck for him. Mohammed also seemed to care about our lives and interests and was patient in answering our seemingly endless questions about the Berber culture and people. I truly believe that having Mohammed as our tour guide really made our trip and cannot recommend him enough. It ended up being a really great and memorable trip. The takeaway is that the tour can be completely tailored to your interests. You don’t have to do anything you don’t feel like doing. Mohammed always gave us options and asked us where we wanted to go next. I would recommend selecting the higher level accommodations/hotel stays so you are thoroughly comfortable on the trip. Also, make sure you have enough dirham before you leave the big city; there were only a few ATMs along the way in the rural towns and villages. Camel Safaries is a solid choice for a tour guide company and well priced. I believe having a guide, especially if it is your first visit to Morocco, is essential to not only experiencing but learning about and understanding the rich history, beautiful places, and the varied people of Morocco. Love Morocco! I did not get much time in marrakech since i got food food poison and spent 24 hours over a toilet. Nice article and pretty informative. However, you could have added the desert tours on the side trips section. No visit to Marrakech is complete without hopping into the Sahara desert for 2, 3 or even 4 days. Thanks for an interesting article. we just got back from our morocco tour and we are very pleased we went there. Gateway2morocco travel : http://www.gateway2morocco.com was able to put an amazing trip that amazed us and exceeded our expectations. the price also was much lower than we got quoted from some major travel agencies. This post is some years old, but I think, my question fits here well. Which places in Marrakech would you recommend for buying alcohol, especially moroccan wine? I heard, that Marjane stopped selling alcohol. Whats up with Aswak Assalam? Awesome Post! You have described each and everything step by step and in detailed so it help the readers a lot more. and thanks once again to share your great experience of Morocco and hope you enjoy your Tour to Morocco. We cannot say enough good things about Morocco and its people. We just returned from a two week adventure of a lifetime. We toured Casablanca, Rabat, Meknes, Fes, Skoura, Marrakech, the Atlas Mountains and the Sahara desert, and many sites in between. Our favorite experiences were wandering around in the souks, learning about the Berber history and culture, relishing the beauty of the architecture, and enjoying the beautiful riads and fantastic food and for me, doing yoga in the Sahara desert. We also had a fabulous time riding camels (actually dromedary) in the desert, ending at a posh campsite with gracious hosts and delicious food. We have traveled extensively and this was easily among our best vacations ever. Iddir worked with us to create a perfect tour. Ibrahim was a wonderful driver and guide, and was extremely knowledgeable, helpful, and an all around nice guy. The local guides arranged by Iddir at each of the historical sites and cities were outstanding as well. All in all, a most enjoyable and unique trip. All I can say is, do Morocco i recommend Marvelous Morocco Tours Team ( marvelous-moroccotours.com to anybody planning to travel within Morocco. More reasons in additions to the great ones in this blog to go? The characaters you meet!, while in Marrakesh I had two interesting experiences Al Qaeda Taxi Drivers of Marrakesh (why they’re the opposite in reality) + The Juice Nazi of Marrakesh (think the Seinfeld Soup Nazi) …. I just came back from a trip to Morocco and I absolutely felt in love! It was one of the best trip I did. Just wow! i really enjoyed reading your awesome article and information about Morocco! My name is MoMo and i’m a professionnal tour guide in Morocco & just started my small business based in Marrakech & glad to share my website with you! Thank you very much for the article, very interesting and useful. Dont forget two important things while you are in Marrakech, visit Majorel garden and go for a desert tour. 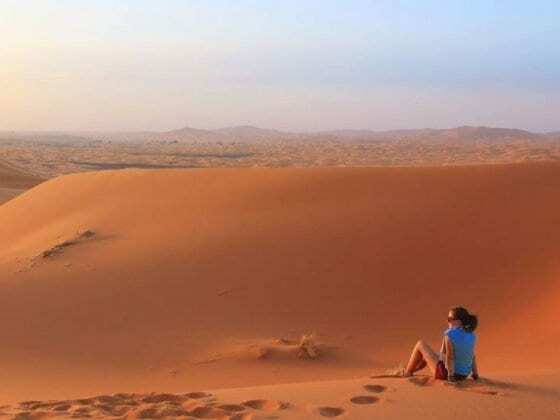 Actually you havent been to Morocco if you havent been to a desert tour. You can also come to Essaouira, discover it and its surroundings, we love to share our treasures with people coming from all around the world! Very well written. The Medina is really nice to visit, especially in the afternoon :). Thanks for sharing!